In My Room feat. Cyclist – Aug.28, 2013 | Hot Jambalaya! I first heard about Cyclist about a year ago while I was searching Soundcloud for Disco edits and Nu-Disco producers. Stumbling upon his Cyclist EP I was hooked by both his original production work and his take on the revisionist sound of classic Disco. Relatively new to Toronto, Mark Penner was a fixture in Canada’s live Funk scene for many years as part of Winnipeg’s live dance outfit Moses Mayes. Nowadays he’s turned his production skills and musicianship to his solo project that’s aimed squarely at the dancefloor. As Cyclist, Mark’s music is influenced by the late 70’s to mid 80’s era of underground dance music, when Proto-House and Electro were rising from the ashes of Disco. In his work with edits, he found early success as a Nu-Disco producer by mining the dancefloor gems of parties past and re-arranging them for modern day clubbers. His debut EP, “Double Dip” (re-released as Cyclist EP on Homebreakin’), released in 2010 on his own label Dublum Records showcased his abilities at re-imagining the sounds of early 80s Funk and Disco. The EP was well received and landed in the Top 20 on the national college charts and was in the Top 10 of the electronic music charts for 14 weeks. Since that first EP, Mark has released a steady drip of “too many remixes,” edits, and original productions on Homebreakin, Punchout!, Continental Records, YYZ Records, Electronic Rumours, and Souldeep to name a few. His latest single a Fusion/Boogie sounding track called “Shine” features vocalist Maiko Watson and has astoundingly racked up over 40,000 plays on Soundcloud in just under a month! 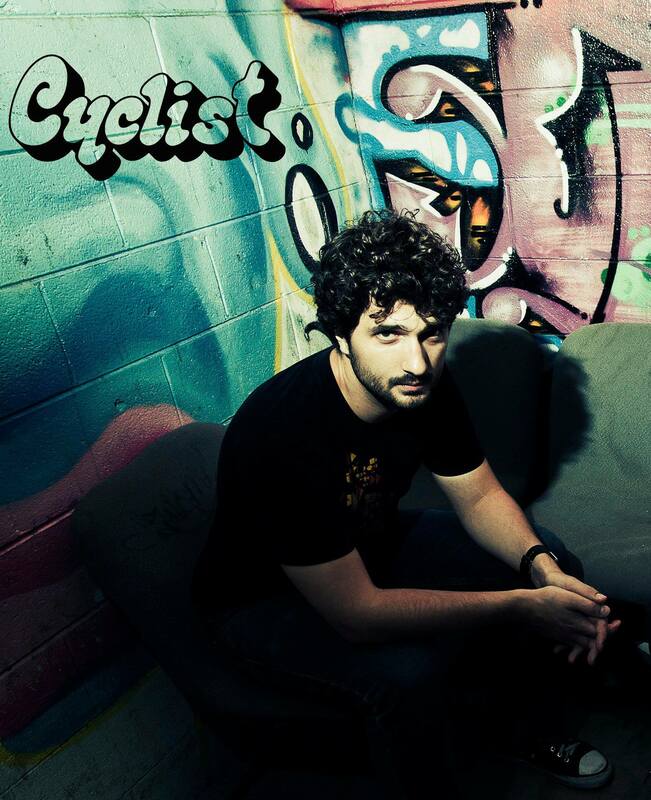 In the first hour, Cyclist lays down a set of funky Nu-Disco including two of his new remixes! We break for an interview from 58:30 to 1h:10 and discuss why he chose the name Cyclist, his new Elektron Octatrack and how it might be worked into his new live show, why he’s inspired by classic Disco and Funk, and his take on the death of the full length Album. After the interview, he reaches deep and we go way back for a set of classic Disco, Funk and Italo before he finishes up with another of his new remixes.